Good morning everyone! I hope you all had a truly wonderful and blessed day yesterday! 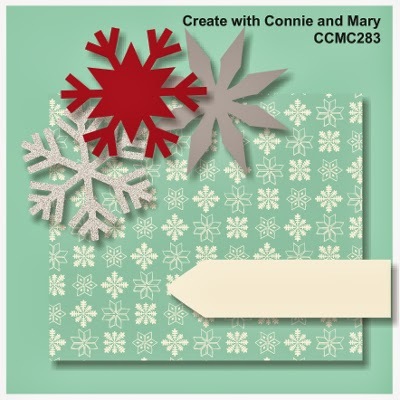 It is time for another great Thursday challenge from the Create with Connie and Mary team! This week we have a sketch! Take a look! A pretty simple card with a lot of fussy cutting. 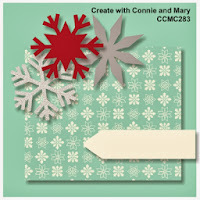 Be sure to visit the Create with Connie and Mary site to see what the other designers did with this sketch! Thanks for stopping by and have a super day! LOVE! The glimmer paper use as "champagne" is genius! Such a cute way to use the glimmer in the wine glasses and the red glimmer as a layer! Deb, I love the elegance and sleek look of your card. 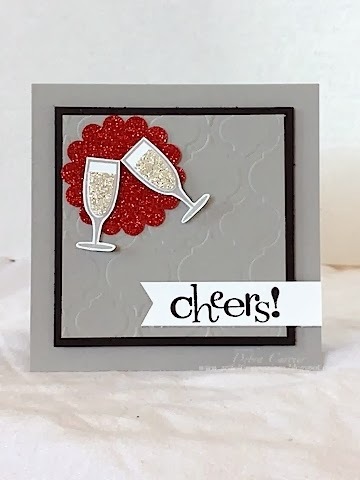 Your ingenious use of the silver and red glimmer paper on the focal point is fabulous! Love your card! What a fun card! Perfect for the New Year. And the glimmer paper champagne is perfection!